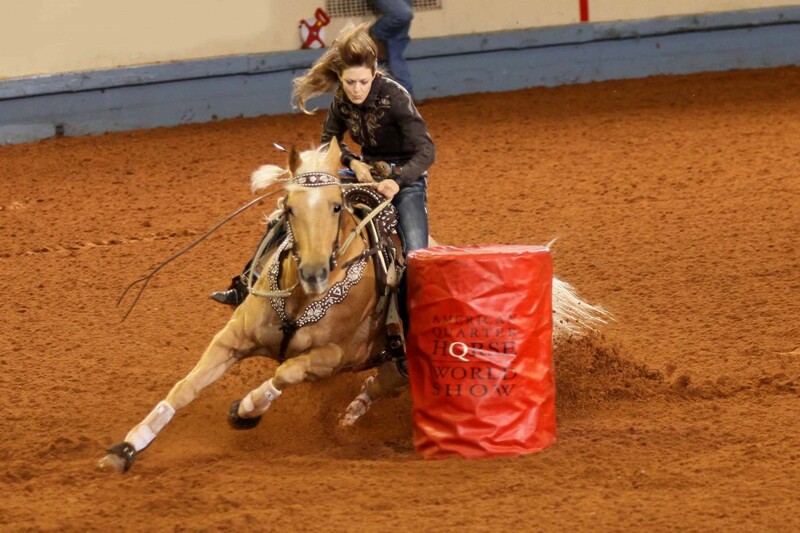 During her first trip to the AQHA World Championship Show, Jennifer Marie Arnold of Smyrna, Tennessee, captured the 2013 amateur barrel racing world championship with her mare Paris Firewater. The duo also set a record time for the class – :16.008 seconds. Photo courtesy AQHA. Quarter horse excellence is on prime display starting Friday, Nov. 7, at Oklahoma State Fair Park. The AQHA World Championship Quarter Horse Show is the biggest event of the year for the quarter horse industry with owners and exhibitors from around the world gathering to show and compete in a variety of riding classes and disciplines. The show, which continues through Nov. 22, will present more than $2.5 million in awards and prizes during its run at 3001 General Pershing Blvd., Oklahoma City, but you don’t have to be an owner or vendor to take advantage of all the special events. Guests and spectators can watch individual sessions as horse and rider teams go head-to-head in the arenas of riding, mounted shooting, jumping, reining and much more. There will also be an expo show plus other family activities. Go to www.aqha.com/worldshow for schedules and show details. For tickets to sessions, visit www.okstatefair.com.